Learn about the inner-workings of the club and set yourself up for success. These meetings occur after a regularly scheduled meeting. 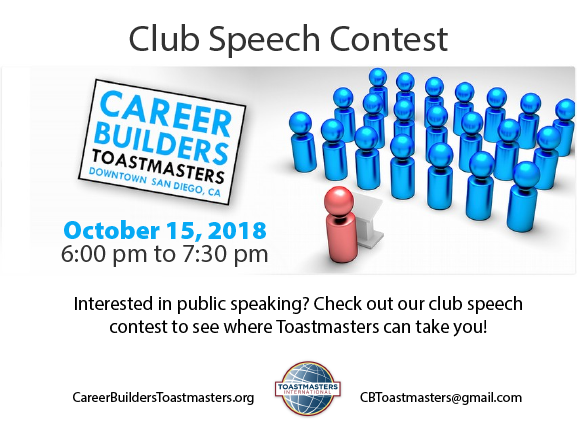 National, Regional, and District level Toastmaster events. Every Monday after meeting, typically around 7:45pm in the Bankers Hill neighborhood.